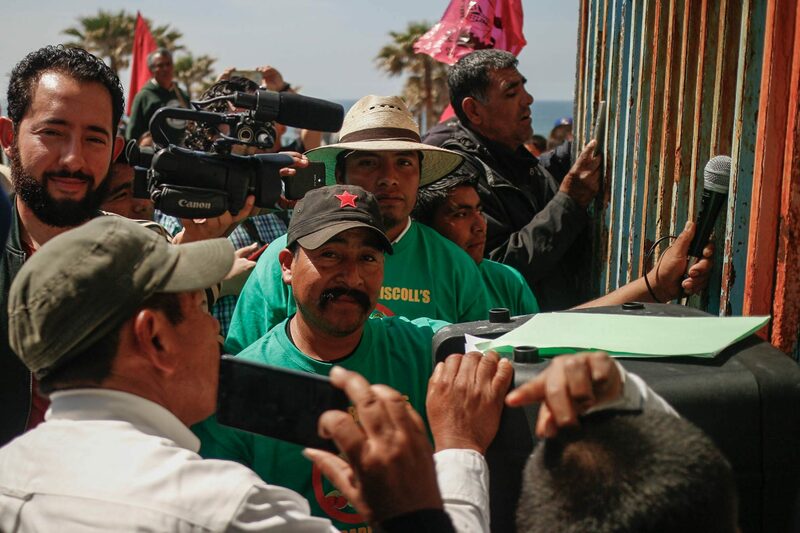 The protest is aimed at bringing attention to purported human rights abuses of farm laborers who pick strawberries (and other fruits) in Mexico. 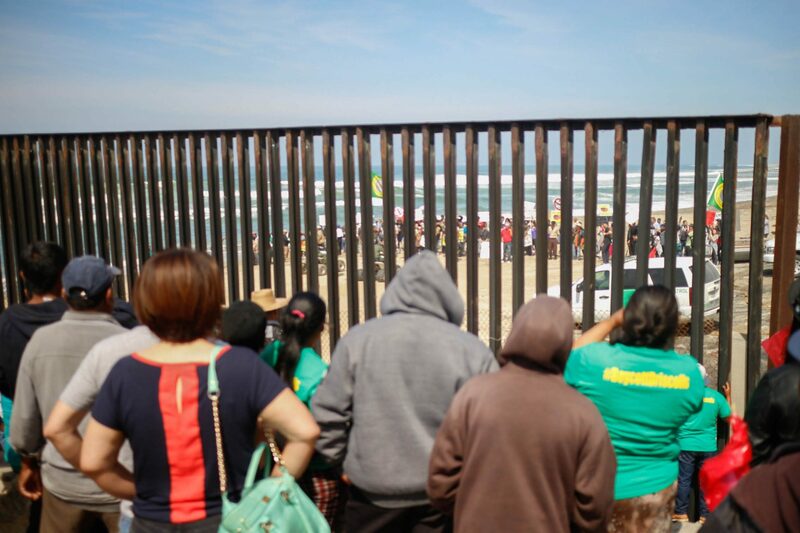 A demonstration on either side of the border between the United States and Mexico Sunday called for better working conditions for Mexican farm laborers in the Valle de San Quintín, a region in the Mexican state of Baja California that supplies much of North America’s strawberries and tomatoes. The farmworkers (also called jornaleros, or field hands) are protesting what they say are widespread inhumane working conditions and low pay. Currently, they are paid the equivalent of USD$7-10 a day. The movement has picked up steam in the past year, since laborers walked off their jobs to protest in March 2015 during pay negotiations to demonstrate in the streets and were met with police violence. A young protester from the Mexico side squeezed through the bars of the wall to plant anarcho-syndicalist flags on the US side of the beach: The small Baja California town of San Quintín supplies an enormous amount of fruits and vegetables to the United States and Canada, especially organic strawberries — at this time of year, 80 percent of North America’s berries come from the region’s fields. In November 2015, laborers voted to unionize; their union was recognized by Mexico’s government in January 2016. However, laborers complain that their treatment and pay has not improved despite promises that large berry companies made after the 2015 strikes. Activists and supporters launched the “Boycott Driscoll’s” campaign in order to bring attention to what they say are grave human rights abuses violations that are supported by large fruit suppliers (such as Driscoll’s and Sakuma) in the name of cheap, readily-available fruits and vegetables.